Taking care of your oral health and being proactive is a lot easier than running into an issue and having to get it taken care of after the fact. 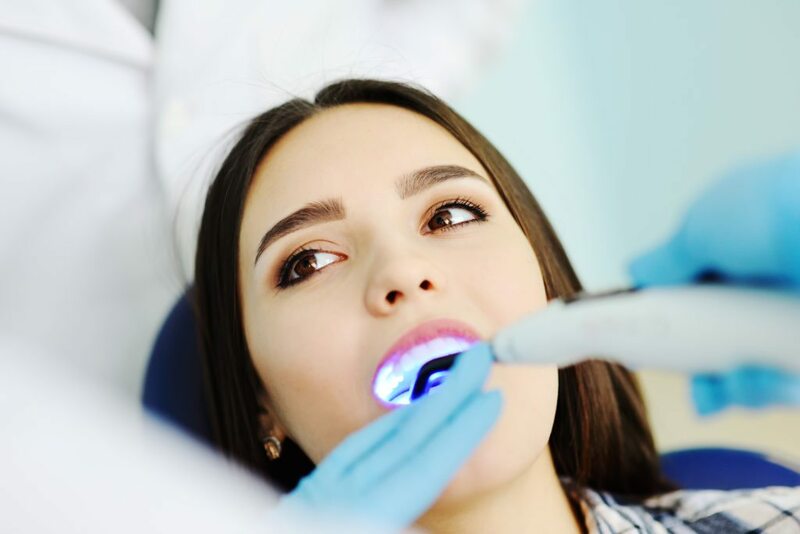 Preventative measures are more affordable than treatment, and help save you from the discomfort that can come from things like cavities and tooth decay. Dental sealants help protect your teeth, particularly the back teeth, from decay. Which ultimately leads to better oral health and an improved quality of life. Dental sealant is a thin coating of plastic painted on the surface of your teeth. The most common teeth to receive dental sealant are the premolars and molars. This is because food build-up that causes decay is most common in this area. This thin coating creates a protective barrier that prevents your enamel from decaying. It’s most common to put sealants on a child’s permanent molars and premolars when they come in. The highest rate of cavity occurrences happen between the ages of 6 and 14. As a result, most of our patients are children and teenagers. However, we also put sealants on adults who do not have fillings or decay. We’ll occasionally put sealants on baby teeth that have particularly deep grooves. This is because baby teeth keep the spacing for adult teeth correct. Teeth with deeper grooves tend to be more prone to cavities. Dental sealants will prevent those baby teeth from being lost too early. Dental sealants are totally safe. You may have heard there is BPA in sealants, and while this is true, the amount is so minuscule that you’ll be exposed to more BPA by simply touching a receipt or breathing in dust. As long as you or your child isn’t allergic to plastic, you can rest assured that sealants are safe and free of any side effects. If you aren’t sure whether your child has allergies, it’s important to get him or her tested before the sealant process. The process of getting dental sealants is quite easy and painless. Each tooth takes just a few minutes to complete. The first step is to thoroughly clean whatever teeth are being cleaned. Once they’re cleaned, the teeth are dried and surrounded by cotton to keep them dry. The dentist then roughs the surface of each tooth using an acid solution. This helps ensure the sealant bonds to your teeth. After this, the teeth are rinsed and dried. Finally, the sealant is painted onto the tooth. Oftentimes a curing light will be used to ensure the sealant has hardened. Sealants last for up to 10 years, however, at each of your check-ups, the dentist will ensure they’re in good condition. As they wear away your dentist will replace them. Dr. Zhao is an experienced dentist who is committed to treating patients with compassion and service. Get in touch with our office to learn more about how sealants could protect you or your child’s mouth from decay and help them enjoy good oral health for years to come.